Eighteen-year-old Sommers Smith has big plans, and she intends to see them through. The daughter of Barry Smith and Eugenia Gasque and a resident of Springfield Housing Authority’s John J. Duggan Apartments, Sommers is graduating with honors this spring from Central High School, and making plans to head to the University of New Haven. There she will major in communications and public relations. 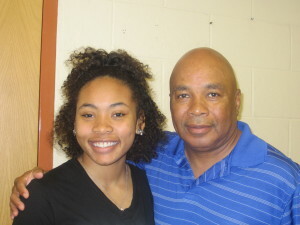 Her first year as a college student will get a boost from the Farris Mitchell Scholarship Fund. She is the sole recipient this year of the $1,000 gift, the 20th year since Farris Mitchell passed on and his children created the fund to help public housing residents achieve higher education goals. Sommers is an honors student at Central, and a young woman who has proven bright, eager to do the work needed to achieve, and an active person all-around. She said her decision to attend college was an easy one. 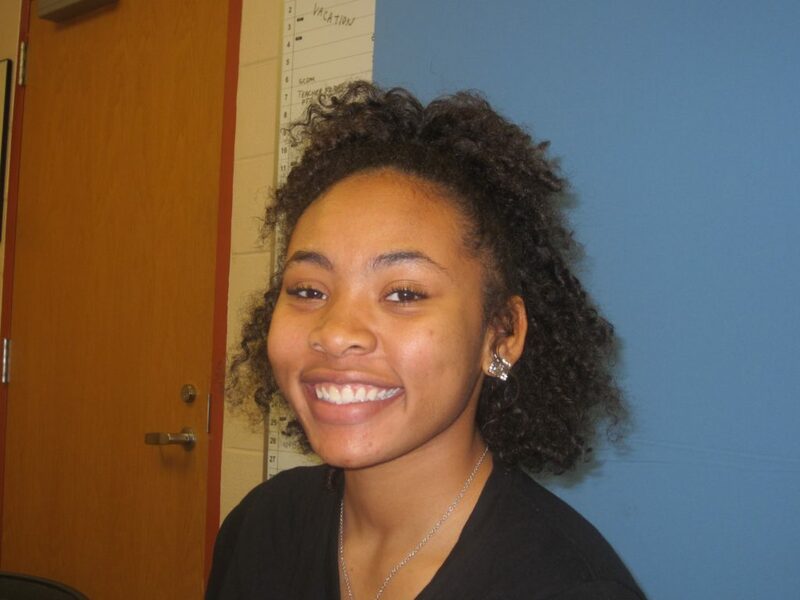 At Central, Sommers has worked hard on her academics and participates in both cheerleading and track. She considers her parents and family to be the foundation that inspires her and keeps her focused on the good things life has to offer. “I see myself as being a humble person. I always try to put my best foot forward and to be ambitious. I am also a very faithful person,” she said. Her guidance counselor at Central agreed with her own assessment. The scholarship is in its 20th year of providing funds to graduating high school seniors who live in SHA developments, or who receive rental subsidies managed by the authority, and who are headed to college. The program is administered by SHA and overseen by Jimmie Mitchell, a retired high school counselor who now works as Youth Engagement Coordinator at the authority. He is the eldest of Farris Mitchell’s 10 children. Mitchell told Sommers how his family grew up in SHA’s Riverview Apartments, and how their father always stressed education for his own children as well as others in the neighborhood. In the end, all 10 of the Mitchell children graduated high school, and most went on to college. 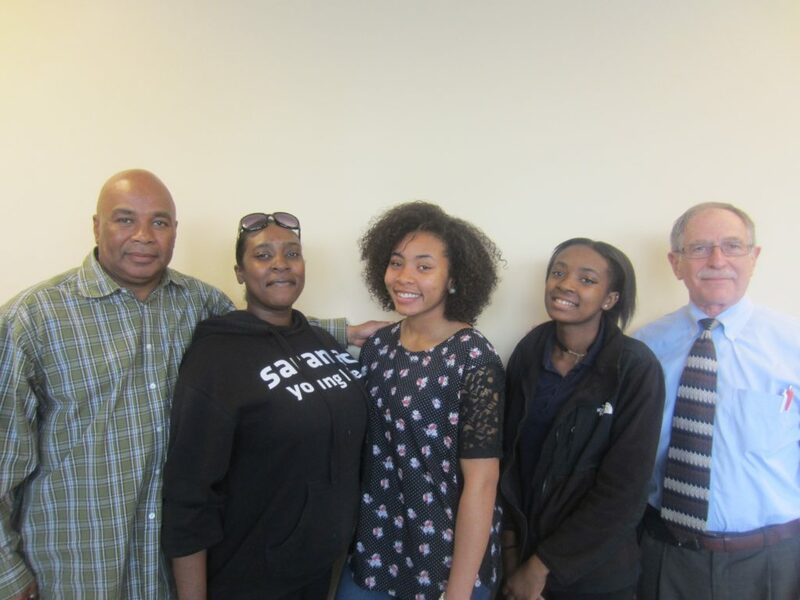 From left to right, SHA Youth Engagement Coordinator Jimmie Smith, Eugenia Gasque, her daughters Sommers and Shakeya Smith, and SHA Executive Director William H. Abrashkin. Mitchell said he and his family are happy to help launch higher education for aspiring students whose families may not be able to afford the cost, and that Summers is a perfect fit for the scholarship. “This is the 20th year that we’ve been able to help more students go on to college in memory of my dad. It’s something that we’re all very proud of. This helps other young people remember that my dad was a great person,” Mitchell said. SHA gave a single scholarship for many years, and in 2013 increased it to a potential two each year. Sommers Smith is the 24th student to receive the Farris Mitchell Scholarship.